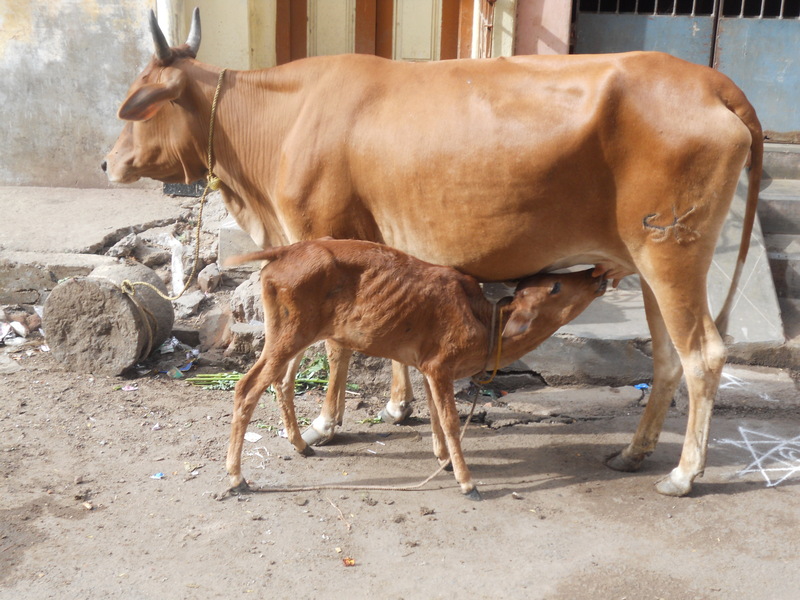 .. to spot their own Cow & calf, the Milkman has probably branded his animals with an initial. Nevertheless its Cruel. Spotted near Kalmandapam, Royapuram.